Our China Trade Institute advisors have broad-based experience in all aspects of China commercial opportunities, including evaluating how individual investors can most effectively participate in the robust Chinese economy and the pros and cons of doing so. From harnessing export services to manufacturing in China's workshop and/or reaching the burgeoning domestic consumer market, our experts will help you to understand and navigate successfully China's politics, economy, culture, and laws. 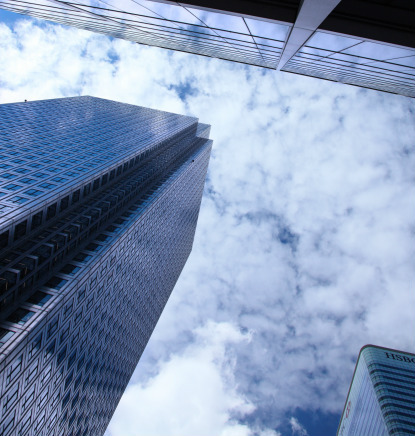 The Institute can assist with business location, staffing and worker requirements, marketing and distribution issues, networking and hiring consultants, lawyers and accountants. CTI will prepare an appropriate analysis to assess potential feasibility. If the indications are positive, the preliminary analysis is followed by a detailed strategic action plan that covers the organization of the legal, accounting, and business team along with a negotiating strategy that is oriented towards earning the requisite approvals in China. Access to governmental assistance and respect for aligning local relationships is given careful consideration. Banking and currency issues are also addressed. 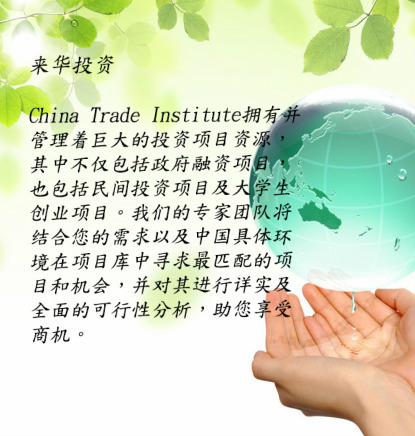 The China Trade Institute has an extensive, detailed and proprietary inventory of potential investment opportunities in China that is made available to existing clients. Inbound China investments are screened to ensure appropriate social and environmental impacts. To contact us about inbound Chinese investments visit out Inventory Inquiries page.